The present study aimed to evaluate and clarify how the age at which the intake of a high-fat and high-fructose diet begins can affect animals’ livers. Thirty-eight male wistar rats aged 6 and 12 weeks were fed a high-fat and high-fructose diet for 13 weeks. 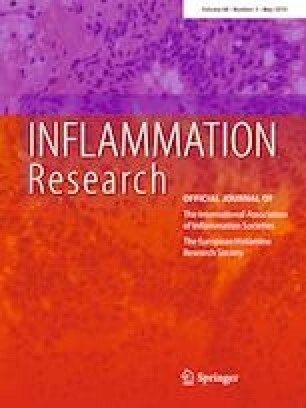 Inflammatory cytokines, hepatic glycogen, serum and hepatic triacylglycerol and pAkt protein content in the liver were assessed. Percentage of weight gained, and visceral adiposity were also evaluated. Young animal presented increased hepatic triacylglycerol and decreased glycogen, while adult animals had no significant alterations regarding its contents. IL6 and IL10 to IL6 ratio were also altered in young animals exposed to HFHF, while adult animals fed with HFHF had only increases in TNF-α. Both groups which received HFHF had increased serum triacylglycerol and visceral adiposity. However, only young animals gained more relative weight and had greater final body weight, gains which were related to alterations found in hepatic triacylglycerol and glycogen. Age of which consumption begins interferes in how the liver deals with an excess of nutrient and subsequent proinflammatory stimulation, leading to different phenotypes. This work was supported in part by the Coordenação de Aperfeiçoamento de Pessoal de Nível Superior (CAPES-Brazil - Financial Code 001) and by Fundação de Amparo à Pesquisa do Estado de São Paulo (FAPESP #2015/19893-0). WHO. Obesity and overweight [Internet]. Obes. overweight. World Health Organization. 2019. http://www.who.int/en/news-room/fact-sheets/detail/obesity-and-overweight. Accessed 9 Feb 2019.